We have worked hard to offer the best hosting solutions for you. We register and transfer domain names from your .co.za to your .com at a competitive pricing range. If you already have a website developed, you need not worry as all we need is to transfer your domain to our servers which will be free and after reserving the backed up site we will also restore your site for free. We provide full graphic and web design services so we can produce exactly what you want from the ground up, and because of our experience with all the latest web technologies, you can be sure that our servers are secure, compliant and cost effective. You do not have to sign a contract to host with us. All you have to do is to fill-up the hosting request form and we will get back to you. To cancel your hosting account with us, whats required from you is to notify us a month in advance. You get full access to your cpanel, so you can set your emails and use you hosting account to its fullest capabilities. If you need assistance, you don't have to worry for we are just an email away. Need hosting or emailing assistance, just send us an email and we will get back you within 24hr. 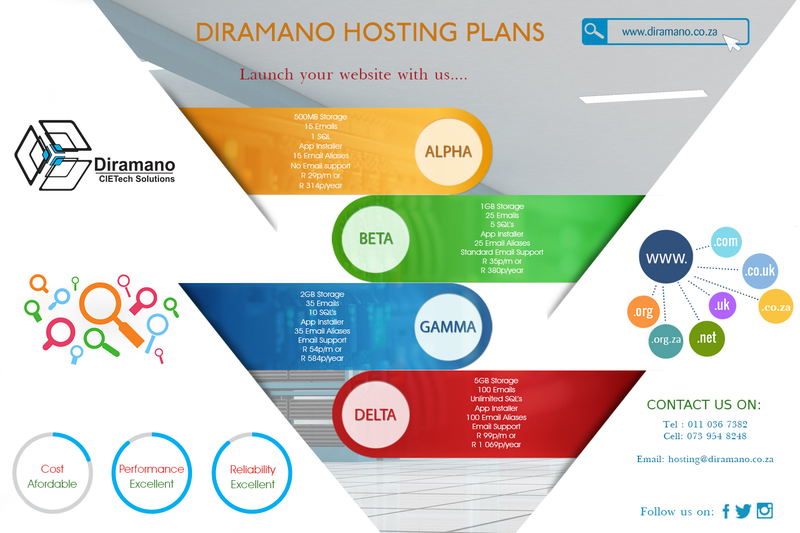 Diramano will go as far as to assist you to set-up your emails and address your hosting related needs via remote control. ICM is short for Internet Cafe Master which is a computer monitoring software designed by T.Thato Maloka at DIRAMANO, ICM is primarily designed for internet cafes. ICM is free for download and use. You can use it for commercial and non commercial use. With ICM you can add new administrators to help you monitor your cafe store.